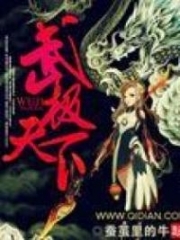 You’re reading novel The Demonic King Chases His Wife: The Rebellious Good-for-Nothing Miss Chapter 1268 online at LightNovelFree.com. Please use the follow button to get notification about the latest chapter next time when you visit LightNovelFree.com. Use F11 button to read novel in full-screen(PC only). Drop by anytime you want to read free – fast – latest novel. It’s great if you could leave a comment, share your opinion about the new chapters, new novel with others on the internet. We’ll do our best to bring you the finest, latest novel everyday. Enjoy! Mo Yunqing hadn't expected that Su Luo would directly kill her without saying anything. As she collapsed, her face was still filled with a disbelieving expression. Su Luo watched as she fell to the ground, then shook her head and sighed: "In front of someone's face, you say you're going to tattletale, you say, how could you not die?" Su Luo pulled out Cheng Ying Sword. In the split second she pulled out Cheng Ying Sword, its blade was covered in blood, but in the blink of an eye, this blood was thoroughly absorbed by Cheng Ying Sword. Now, the sword blade was bright like clear spring. Moreover, Su Luo could clearly feel Cheng Ying Sword's lively and excited mood. So, it turned out Cheng Ying sword could become so excited after it sucked blood, Su Luo actually hadn't antic.i.p.ated this from the beginning. All of a sudden, Su Luo felt a strong, powerful pressure bearing down, suddenly attacking in this direction. Her heart stirred, and she secretly said 'not good'. If what she guessed wasn't wrong, this formidable power pressing down would certainly be Elder Ancestor having chased over. Thinking of this possibility, how could Su Luo still dare to stay here? She activated her spirit force, made hand seals and quickly shouted in a low voice: "Teleport!" Her voice had barely faded when Su Luo's figure flashed, and all traces of her directly disappeared on the spot. In the instant Su Luo had disappeared, a powerful figure appeared beside Mo Yunqing. Su Luo's expectations were right, this person was precisely Mo family's Elder Ancestor who had already lost his mind. Elder Ancestor stared foolishly at the place Su Luo had just disappeared from, his thick eyebrows were tightly wrinkled, slowly, step by step, he walked over. He completely ignored his favorite granddaughter that was lying on the ground. To put it more precisely, at this moment, Mo Yunqing, in his eyes, was simply just a block of wood. Old Man Mo finally stood at the place Su Luo had disappeared, with an expression of sinking into deep contemplation, like there was something he was unable to understand. Very quickly, two figures appeared behind Old Man Mo. First Elder and Mo Zixu. Mo Zixu, at one glance, saw Mo Yunqing lying on the ground, and his entire body immediately didn't feel good. He dashed up two steps, half-knelt on the ground and picked up Mo Yunqing: "Yunqing? Yunqing, what happened to you?" Wasn't she locked up in the tightly sealed room? Why would her body be stiffly lying here? Seeing this treasured daughter in front of his eyes with her chest covered in bloodstains, Mo Zixu's heartache reached the peak, even the rims of his eyes were somewhat moist. "Yunqing! What's wrong with Yunqing……" First Elder, seeing the motionless Mo Yunqing, his heart was also shocked, but he was a lot calmer than Mo Zixu. First Elder saw that Mo Yunqing was somewhat not good, and extended his finger to search for her breath. "There's still a slight breath." First Elder didn't know whether this was something happy or sad. "Quickly save her! Save her!" Mo Zixu grabbed First Elder's sleeve, roaring wildly and furiously. This was his, Mo Zixu's, daughter, the daughter he pampered for sixteen years. How could he possibly allow her to die? How could he possibly allow the matter of seeing his child die before himself happen? First Elder silently glanced at Mo Zixu, and he sighed faintly: "You shouldn't have excessive expectations. Her heart was entirely pierced through, her five viscera and six bowels have completely turned into fine powder, able to let her have a last moment of lucidity before death is already extremely difficult. How could it be possible to save her?" Mo Zixu, hearing this information that made him give up all hope, a despairing expression appeared on his face. His Yunqing, his treasured daughter, would she die so tragically just like this? "No! Even if we can only have a moment of lucidity before death, it will do! I must know who killed my treasured daughter!" The expression on Mo Zixu's face was sinister and very terrifying, with an imposing killing intent, he tightly clenched his fists! You're reading novel The Demonic King Chases His Wife: The Rebellious Good-for-Nothing Miss Chapter 1268 online at LightNovelFree.com. You can use the follow function to bookmark your favorite novel ( Only for registered users ). If you find any errors ( broken links, can't load photos, etc.. ), Please let us know so we can fix it as soon as possible. And when you start a conversation or debate about a certain topic with other people, please do not offend them just because you don't like their opinions. You're reading The Demonic King Chases His Wife: The Rebellious Good-for-Nothing Miss Chapter 1268. This novel has been translated by Updating. Author: Su Xiao Nuan,苏小暖 already has 8446 views. Current Time is Apr-21-2019 02:20:25 AM.